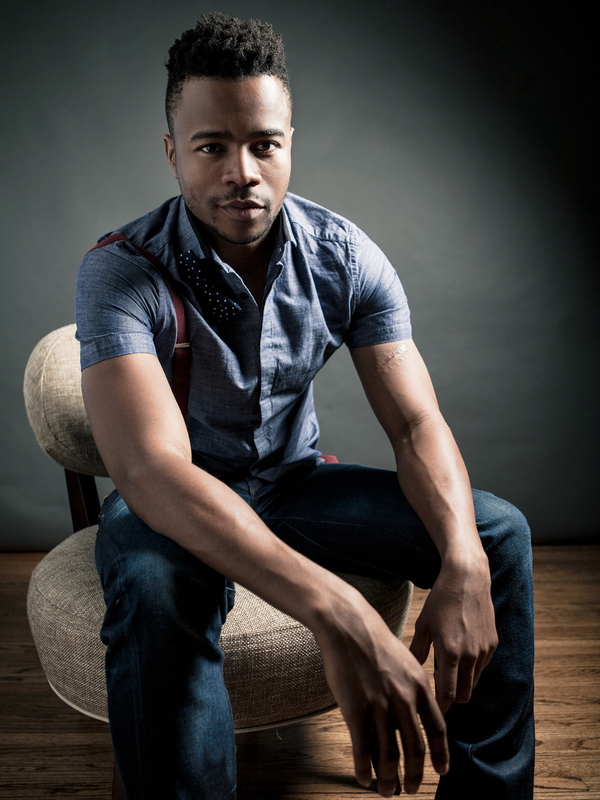 Marque Richardson currently stars as Reggie Green on the acclaimed Netflix original series DEAR WHITE PEOPLE. The show, based on the film which won the U.S. Dramatic Special Jury Prize for "the arrival of an exciting new voice in American cinema" at Sundance, is a satire that takes a biting look at race in America through the eyes of students of color at a predominately white Ivy League university. He also recently starred in the Netflix film STEP SISTERS. A comedy from the minds behind Drumline, Pitch Perfect, Straight Out of Compton and Dear White People - now streaming. His film ALL THE WAY, HBO's adaptation of the Tony-winning Robert Schenkkan play, received an Emmy nomination for 'Outstanding Television Movie'. Directed by Jay Roach and executive produced by Steven Spielberg, it stars Bryan Cranston (President LBJ), Anthony Mackie (Dr. Martin Luther King), Melissa Leo (First Lady Byrd), and Richardson as Civil Rights leader Dr. Bob Moses. Some of his numerous television credits include: recurring roles on HBO's THE NEWSROOM, TRUE BLOOD and guest star roles on BROOKLYN NINE NINE, ANGER MANAGEMENT, COMMUNITY, and a series regular role in Amazon Studio's pilot BROWSERS. A graduate of USC, he trains at Upright Citizens' Brigade, the Ivana Chubbuck Studio and studies screenwriting at UCLA. Marque was born on a naval base in San Diego, California. Both parents served in the United States Navy. The eldest of two siblings, he began his acting career working in commercials at the age of four. Having moved around frequently, he was primarily raised in Bellflower, California. He graduated from the University of Southern California with degrees in Business, Public Policy, Planning & Management on full scholarship from the Bill & Melinda Gates Foundation. After graduation Marque worked at Will Smith's production company Overbrook Entertainment to gain insight of life behind the camera. A strong advocate of community service he's been involved with various global service projects. He recently formed TheJordanEdwardsMemorialScholarship.com with the cast and crew of Dear White People. Traveled to Khao Lak, Thailand to provide relief after the area’s devastating tsunami in December, 2004. He's also worked with Habitat for Humanity to build homes in Baton Rouge, Louisiana (post Hurricane Katrina) and Retalhuleu, Guatemala. He currently serves as a mentor to various student programs across Los Angeles.